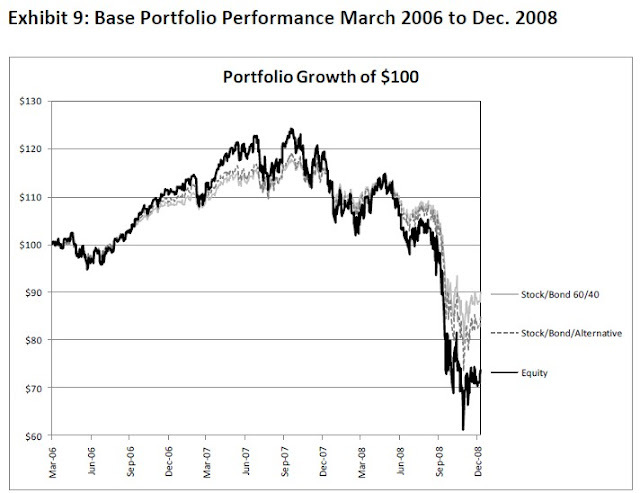 In 2008, the S&P 500 experienced a drawdown of about 50% from peak to trough. Many assets which are typically considered effective equity diversifiers also faced precipitous losses. 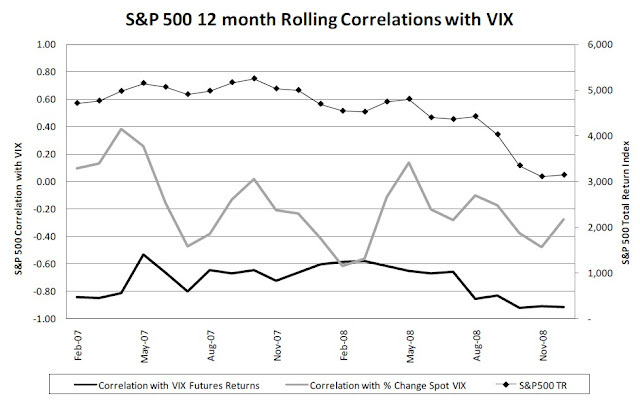 In stark contrast, volatility levels as measured by VIX experienced significant increases and in 2008 repeatedly set new highs not seen since the crash of 1987. 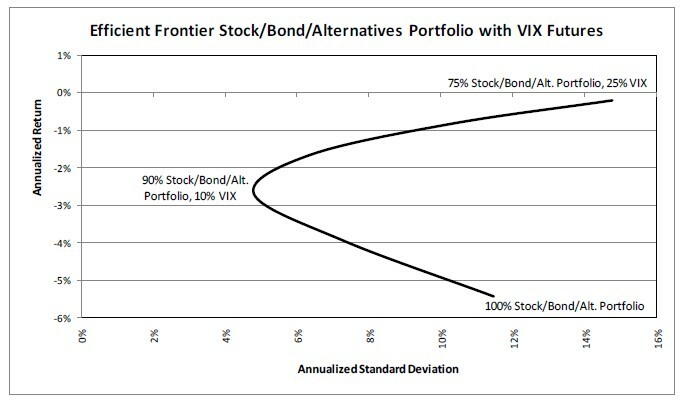 This anecdotal evidence leads one to wonder whether some degree of long VIX exposure would have provided effective diversification during the 2008 financial crisis when standard diversifiers failed to provide their expected diversification benefits. 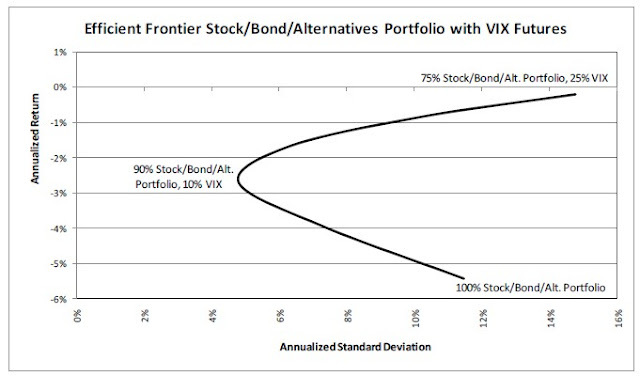 This study assesses the impact of long VIX futures and call positions as diversifiers for a stock portfolio, a stock/bond portfolio and a typical well-diversified institutional investment portfolio. 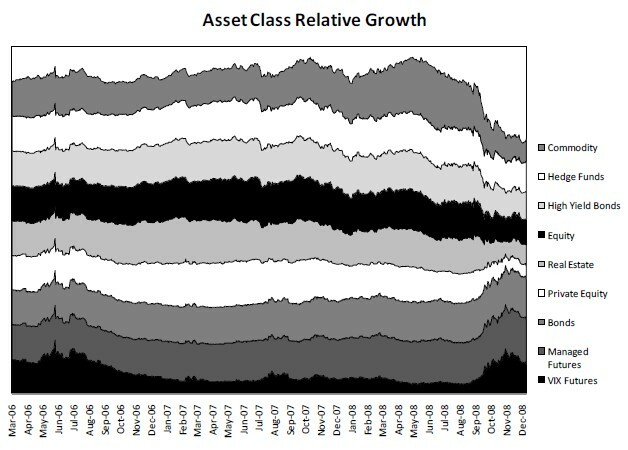 The analysis covers the period of March 2006 to December 2008, with a focus on the latter part of 2008. 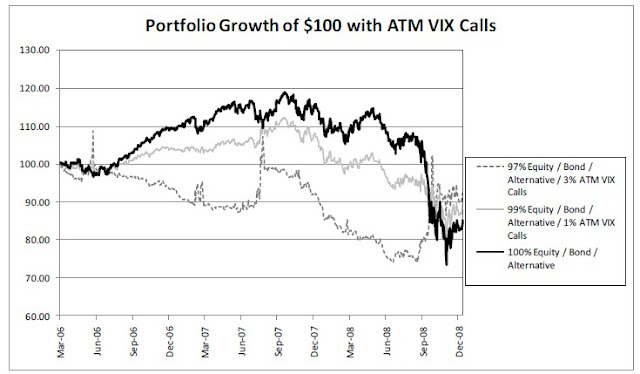 While a long volatility exposure may result in negative excess returns over the long term, the study shows that investable VIX products could have been used to provide some much needed diversification during the crisis of 2008. 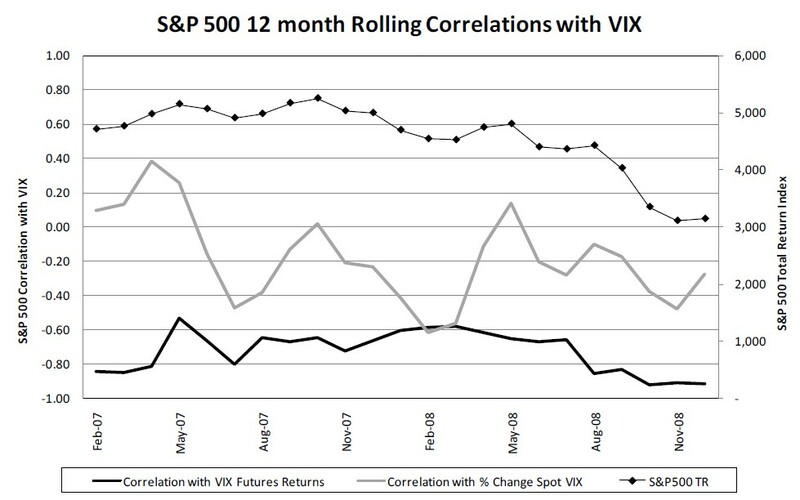 In addition, the results of this study suggest that, dollar-for-dollar, VIX calls could have provided a more efficient means of diversification than provided by SPX puts.